How Do I Protect Logs From Bugs? So, in April 2016 I had to fell a large Silver Oak in our back yard as it was threatening to fall & damage buildings. Obviously I decided to keep the wood for future projects even though I had no idea what the wood was like. This morning I took one of the small branches to the bandsaw to slab it just to see what it is like on the inside. (just beautiful by the way) I know it isn’t dry enough to be used, but I thought it’s time to see what we have, and maybe slab some so that it can dry quicker. I found that termites and other borers have been snacking on my wood while I wasn’t looking. Fortunately, I see damage only in the sap wood – the heart wood seems to be untouched at this stage. I realise that I need to use some probably pretty nasty chemicals to kill off these invaders, and prevent further losses, but I’d like to also not stain or damage the wood by using the wrong stuff. 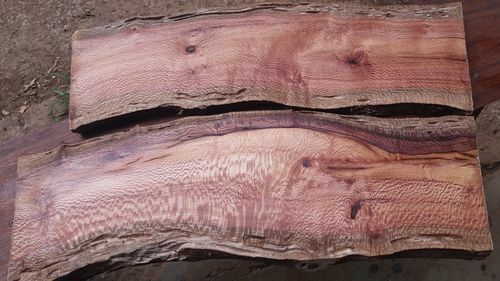 I know many LJs use felled or found wood in their projects, and am hoping that someone here can advise me on the best chemicals to use. p.s. 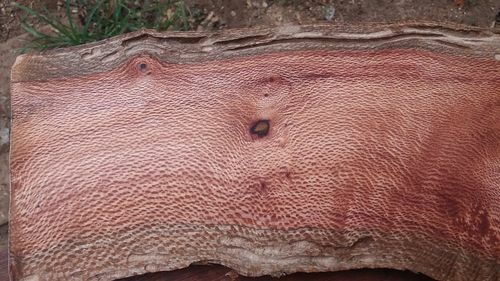 here is a look at the wood I found inside a very ugly log. -- I may be schizophrenic, but at least I have each other. Is wood that has or had termites worth trying to clear up? I do not know I would take the risk of bringing the bugs inside with the wood. You could research timbor, bora care and borasol and determine if that is an option for you. Dude, you’re in South Africa. African termite mounds are as tall as some our houses. Abandon all hope, and take up metal-working. Ha. Seriously, I hope that you figure this out because that sample is the bomb. Remove the bark see if that helps. The wood looks a lot like the live oak we have around here very nice color you have there. FYI, I treated a large number of cut blocks with it and placed them in a covered trash can for 3yr. When I removed the wood, I only found ONE active beetle. In other words, if you can, have the wood kiln dried. The heat will kill the critters deep inside the wood. Removing the bark DOES help, but does not eliminate completely. That’s an oak? Or is silver oak not a species of oak? I harvested a LOAD of grenadillo wood when I was in Guantanamo Bay, Cuba with the Navy. after I got it home, bugs started chewing on the bark – probably powder post beetles. fortunately, I had a chest freezer that was not being used. froze those little buggers to death LOL. not much a person can do about chewing varmints other than heat or freeze. if the freezer is not an option, put the wood in a metal drum and build a fire around it to bake it. careful not to get it too hot to ruin the wood – just kill the bugs. no harsh chemicals involved. if you are in a real buggy area, this may be an on-going problem. 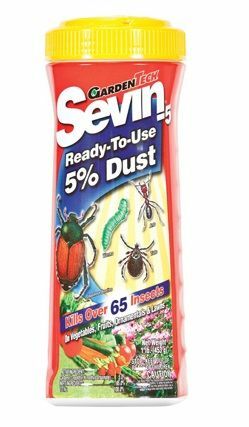 a powder bug killer such as “Sevin” would be the preferred less invasive treatment. it does not soak into the woodfibers like a liquid would. The best protection is to slice it into boards right away and get it dry. That s an oak? Or is silver oak not a species of oak? wow – Zac. that is a LOT of beautiful lumber if you have the whole tree ! for the small pieces in your photo. as discussed above. awesome things can be made from that tree !! it would be a crying shame if it was ruined by bugs for sure. Does freezing work? I’m in CT where just leaving it outside this time of yr does that for free. 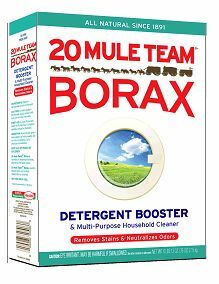 Is Borax https://www.amazon.com/Borax-Mule-Team-Detergent-Booster/dp/B000R4LONQ available where you live? I use it to protect my outdoor wood storage. Make sure your wood is off the ground (stacked on pallets) sprinkle a 6” border around the stack making sure there are no breaks in the border. You can also sprinkle it over the wood and tarp, without harming the wood. It has worked well for me. below freezing temps. because every summer, they are back. I was bringing bugs from Cuba – which have never even seen a frost. so a few days at minus 10 degrees did them in. exposure to minus 20 for an extended amount of time. only thing you can do is experiment like I did. I am a carpenter – not an entomologist. have a bug problem. Borax works on the intestinal tract – not absorbed through the skin like other pesticides. as well as mixing it 50/50 with sugar and put in jar lids for ants. but – they have to eat it for it to work.